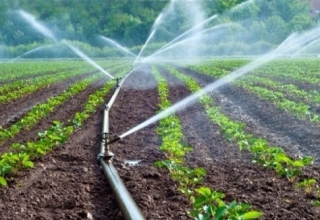 More than half of the Indian population is dependent upon agriculture for their livelihood and the entire 100 per cent population of the country is dependent upon the farmers for their daily sustenance. Agriculture also amounts to almost one fifth of India’s gross GDP. Ironically, the standard of living of farmers is quite a mess in the country. 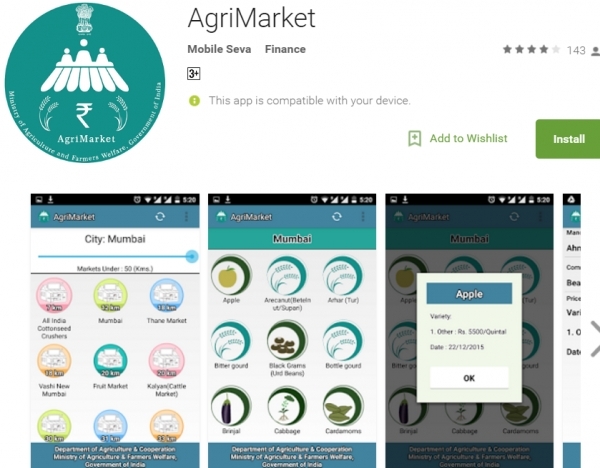 To counter act the sorry state of our nourishment providers, the government of India has launched these mobile apps for the empowerment of rural & urban farmers. 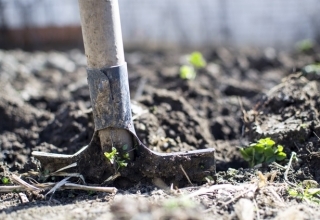 It is an omnibus smartphone app that helps farmers by providing them relevant information. With a click of a button, farmers can access information regarding weather, dealers’ market prices, plant protection, agro advisories, IPM practices etc. Other features like extreme weather alerts and market prices of commodities in the neighbouring area have also been added to help the farmers in the best possible manner. 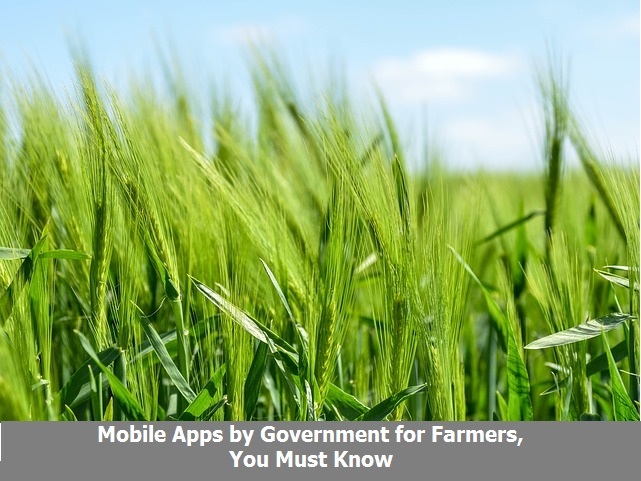 This app enables farmers and stakeholders to obtain advisories and other information being sent by experts and govt. 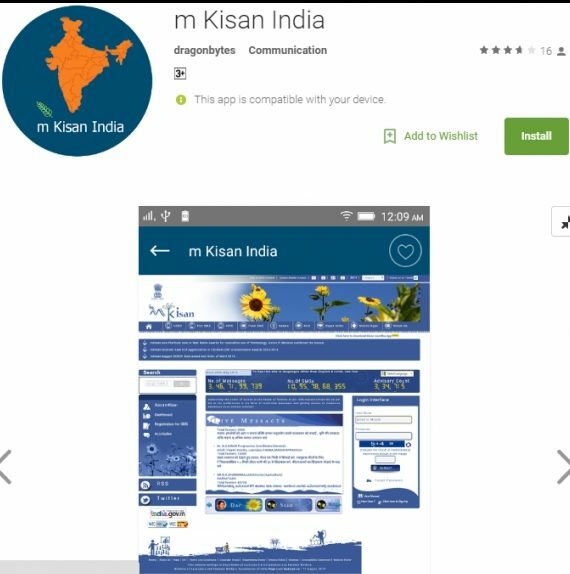 officials through mkisan portal without registering on the portal. 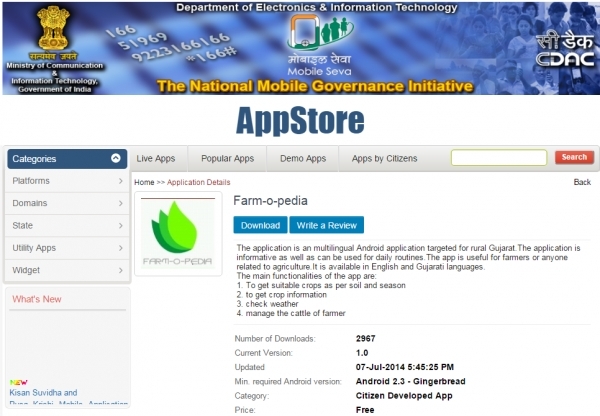 Developed by CDAC Mumbai, this is a multilingual Android app that targets the farmers of rural Gujrat. It is available in English and all Gujrati languages. 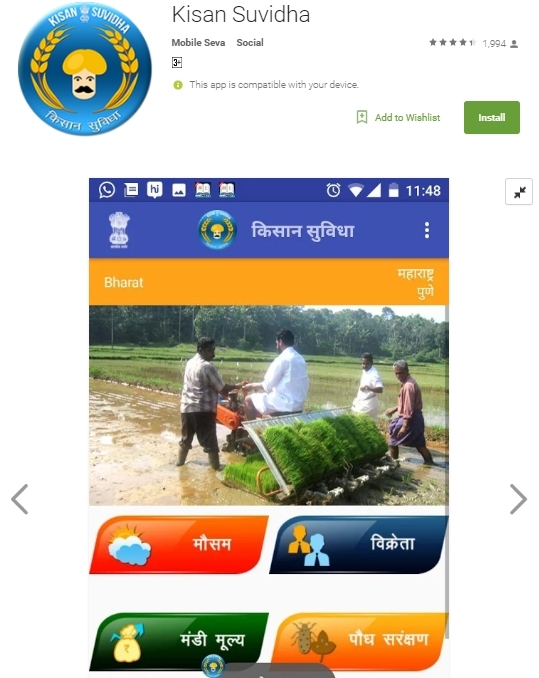 The major functionalities of this app are, it helps farmers get suitable crops as per soil and season, helps farmers get crop-wise information, weather monitoring and cattle management. 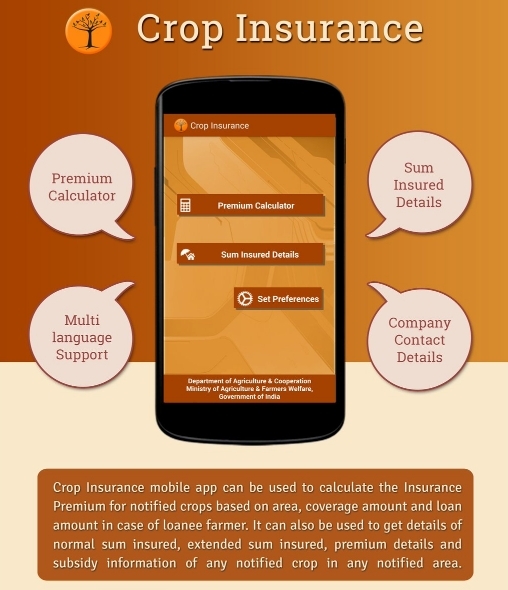 This app is used to calculate Insurance Premium for notified crops based on area, coverage amount and loan amount. It can also be used to obtain details of normal sum insured, premium details and subsidy information of any notified crop in all areas. 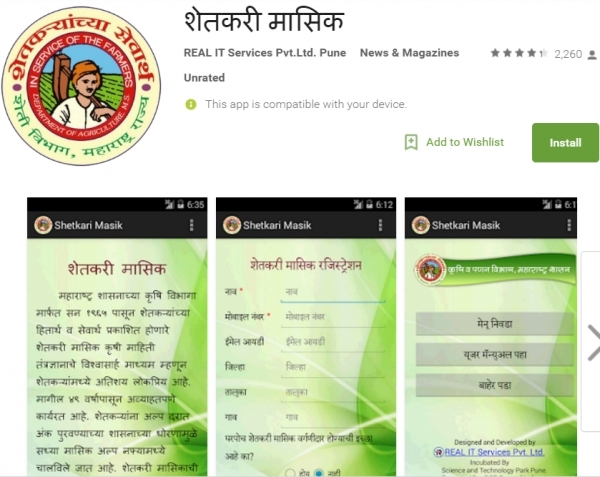 This app helps download Shetkari Masik an Agriculture magazine & there is no requirement internet to Read it. This app provides information of market price of all crops at the markets located within 50 kilometre radius of the device’s location. This app uses GPS to find the location and then fetches the market price of all crops in the nearby mandis. 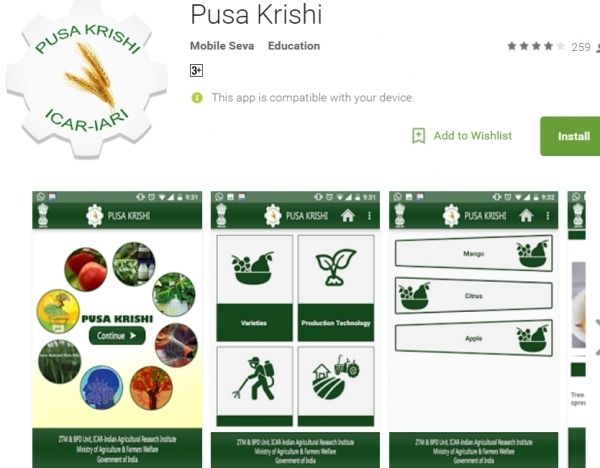 This app provides information about various types of crops.